Join us in the high desert! The 2018 OAN Convention will be held Friday, October 26 through Sunday, October 28, 2018, at Eagle Crest Resort near Redmond, Oregon. We'll update you on important issues, swear in the new board, celebrate the outgoing board, and honor the best the nursery industry has to offer. Complimentary child care provided. Online registration is now closed. Please contact Kelsey Hood at 503-582-2010 to see if onsite registration is still available. Individuals will make their own reservations for this event and must be booked prior to October 12, 2018. The lodging, tax and incidental charges incurred will be the responsibility of the individuals. Payment will be due upon departure. A pre-approved credit card or cash deposit will be required at time of reservation. For reservations please call 855-682-4786 and reference the "OAN" group. $109 per night - LODGE DOUBLE QUEEN ROOM: Two queen beds, cable HDTV with HBO, small refrigerator, telephone, full bath and air conditioning. 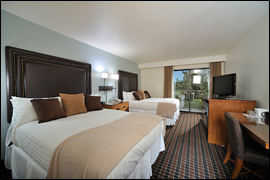 $129 per night - LODGE ONE BEDROOM KING SUITE: Separate bedroom with king bed, private vanity and cable HDTV. There is a sofa sleeper in the living area with cable HDTV and DVD player. Kitchenette includes a small refrigerator, microwave, coffee maker, toaster, dishes and silverware. (two night minimum stay required) Choose between modern townhomes or cozy chalets. Master Bedroom features a queen or king bed, private bath and TV. Additional bedroom typically features two twin beds, one queen bed or bunks. Living area has a sofa sleeper, fireplace, stereo and TV/DVD. Each unit includes washer/dryer, fully equipped kitchen, deck with BBQ, and patio furniture. 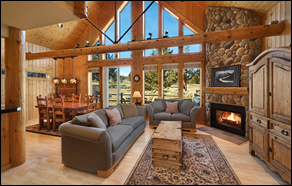 Vacation Rentals have a minimum of two full bathrooms and a dining table with seating for six. Some units come equipped with a hot tub on the deck. Lodging rates are subject to a 17.8% lodging tax/assessment at the time of check-in. Check-in for the hotel is 4:00pm; check-out is 11:00am. Check-in for the vacation rentals is 5:00pm; check-out is 11:00am. Individuals will pay their own room, tax & incidental charges. A credit card is required to hold a reservation. Reservations must be cancelled at least 72 hours in advance. Otherwise, one night of lodging and tax will be charged to the credit card on file. A confirmed guest who fails to arrive on their scheduled arrival date will be considered a "no show", charged one night of lodging with tax and their entire reservation will be cancelled. 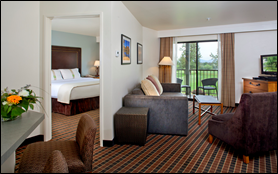 Eagle Crest cannot guarantee rooms for guests arriving after their scheduled arrival date. A credit card is required to hold a reservation. A deposit of one night of lodging with tax will be billed to the credit card at time of reservation. The deposit will be forfeited if the guest does not arrive or if a reservation is cancelled fewer than 7 days prior to arrival. A confirmed guest who fails to arrive on their scheduled arrival date will be considered a "no show", charged one night of lodging with tax and their entire reservation will be cancelled. Eagle Crest cannot guarantee rooms for guests arriving after their scheduled arrival date. Meet and greet your industry peers in the Hospitality Suites. Festivities will kick off Friday night with the free Hospitality Suites receptions, sponsored by Columbia Bank, Leonard Adams Insurance Inc., Nutrien Ag Solutions and PureCrop1. You can also indulge in the "Past Prez Hoppapalooza" presented by outgoing OAN President Josh Zielinski and OAN Executive Director Jeff Stone. If your child requires special dietary food or beverages, please provide your own with your child when you check in. ALL Children must be registered for Child Care. Please Note: Intended for children 3+ years old and who are potty-trained. This Child Care is free and operated by teenage volunteers. A waiver must be signed on site by parent or legal guardian for each child. Please call Kristen Urban at the OAN if you have questions at 503-582-2011. Promote your company to our membership leaders and the industry by showing your support of the OAN Convention! Sponsorship packages are now available to boost your company's exposure and help make the OAN Convention affordable for our members to participate in a free annual meeting, continental breakfast and lunch on Saturday and reduced costs for the awards dinner. If interested, contact Allan Niemi at aniemi@oan.org or 503-582-2005. Registrations cancelled on or before October 5, 2018, will receive a full refund. No refunds will be given after October 5, 2018.